The great thing about close-up magic is that it doesn't require a stage, thus it can be performed in a mix and mingle situation, such as meet and greet or at tables. John can also perform his close-up magic outside, providing the weather is good. For Corporate events and Trade Shows, John can sometimes adapt some of his close-up magic to help advertise the company he is working for. This is a great way for a company to impress their clients. 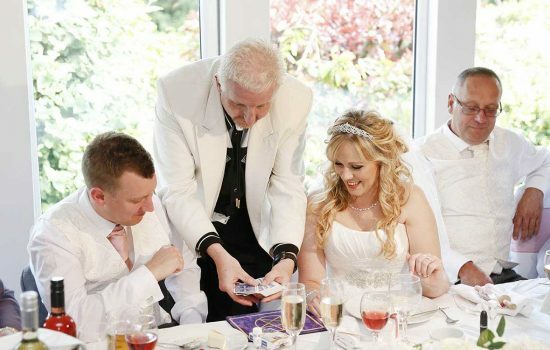 John is often asked to perform his close-up magic at most of the top hotels and clubs around London, including the Grosvenor House Hotel, The Dorchester Hotel and The Hilton Hotel, to name but a few. 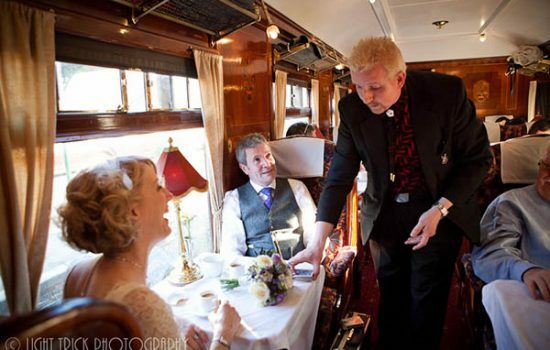 He also performed on the world famous Flying Scotsman train, whilst it was doing it's UK tour. In a restaurant situation, John will entertain the paying customers, while they are waiting for their meals or during coffee and desert. John has had many years of experience working in restaurants and hotels all over the UK and internationally too. Apart from performing close-up magic, John has also won trophies, for his skill in this art at his local magic club. For any further information, Please contact John Clayton.